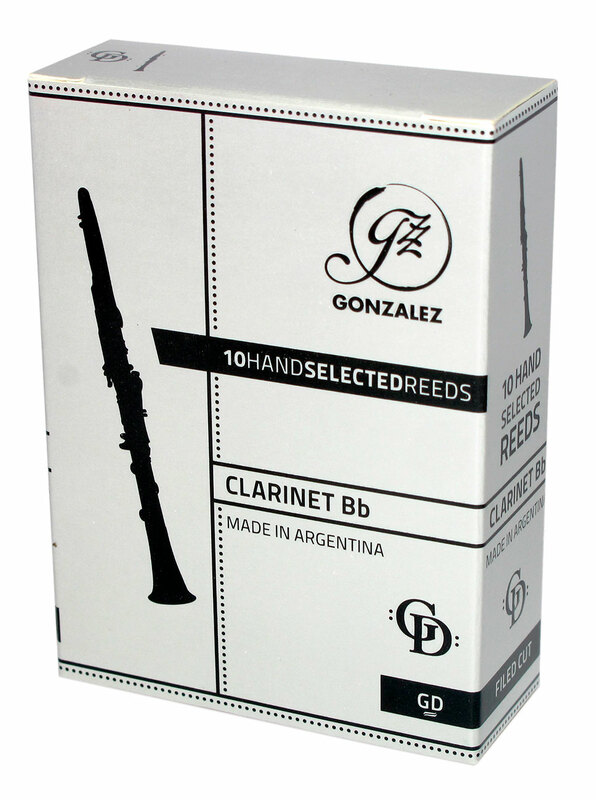 The Gonzalez GD reeds are made from a cane with a classic French Cut, not totally dis-similar to the Vandoren V12. They are made with a thicker blank and a larger diameter material than the standard clarinet reeds. This material is normally used in the manufacture of Alto saxophone reeds and can give a richer sound. They are the first Gonzalez reeds with a French Filed Cut, the GD’s have a longer scraping area and more wood in the heel, therefore they are quite vibrant and long lasting. For those experimenting the Vandoren equivalent to GD = V12/V21. Thick blank for a richer sound. Well aged carefully selected lower node cane. Long scrape with thick heel. High quality cane, very flexible. Have been using these for a while, always good consistency and can use all the reeds in the box. Tried these on a B45 mouthpiece as they were recommended as a good alternative to the V12 reeds. I ordered a slightly softer reed than I would have, but actually they are too soft, so I'd say they do equal the V12 strength. All these reeds play really well straight out of the box (unlike V12's which I find only some work nicely) So far, I'm convinced by them!